Our entries into the contest. Such a fun pattern! 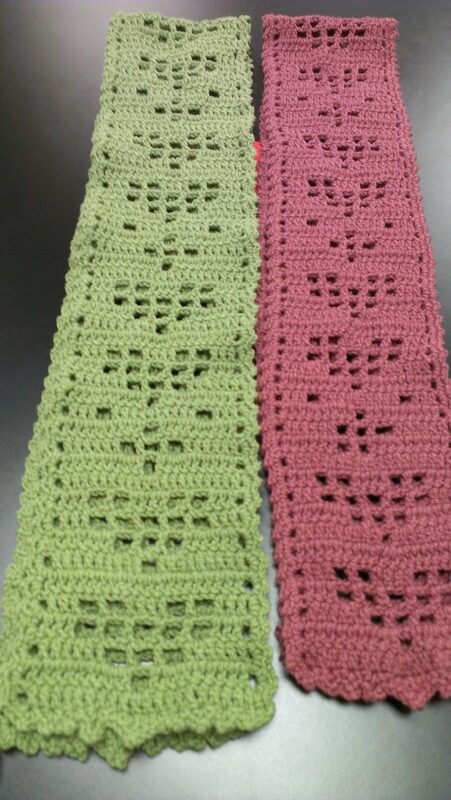 In January two of us made scarves for the Crochet Crowd’s Shimmery Heart Scarf Crochet Along contest. You can see our completed ones to the left. Though neither of us won the random drawing, we both enjoyed making a new pattern. There’s something pretty special about working on a project together, and not only knowing the two of us were making this pattern, but so were hundreds of others. You can check out all the completed ones in The Crochet Crowd’s gallery.